A crime scene always requires an investigation by experts, and this is not a simple task: it requires precision and enough knowledge to uncover the causes. Crime Scene Clean Up is complete tool to investigate a crime scene. Fill in the incident file with as many details as possible. 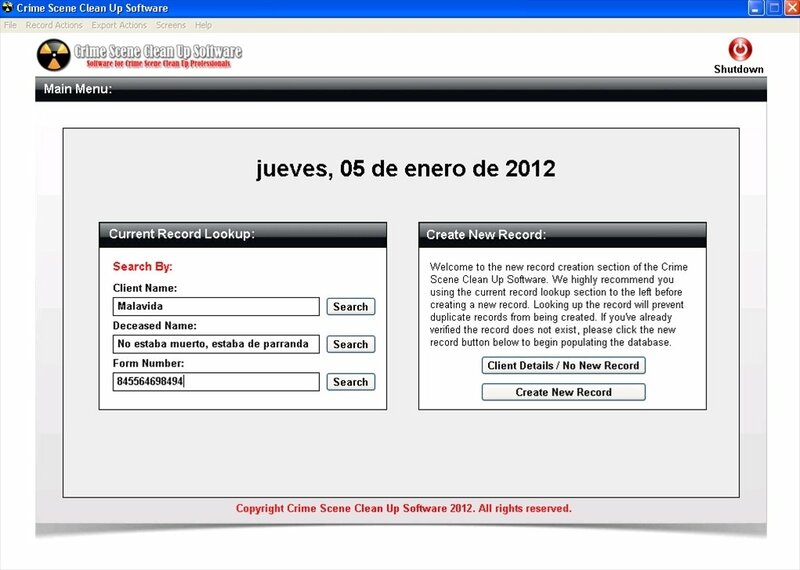 Create your customized database with the cases that you have worked on. Simple interface that you will be able to use without any previous training. Export the program's data in three different formats: CSV, HTML and XML. Automatically saves the changes to avoid losing information. 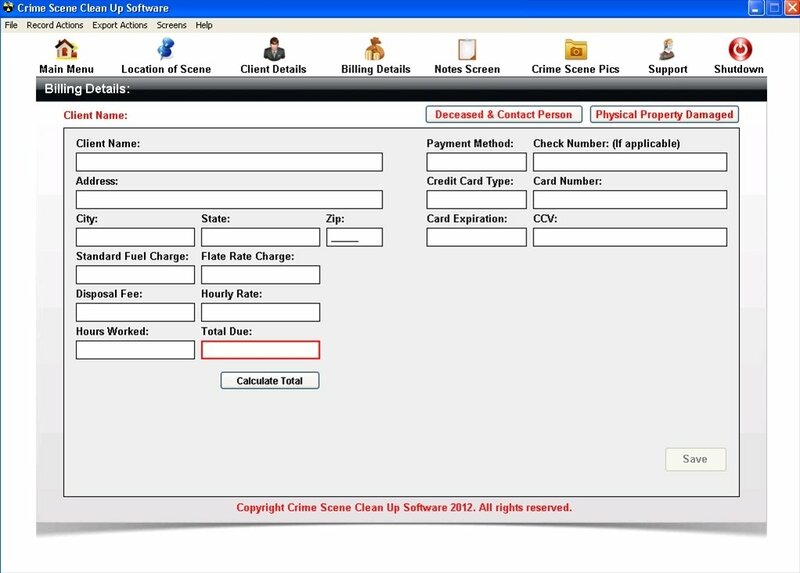 The interface of Crime Scene Clean Up is very simple and it is very easy to be able to use the different parts of the program without any difficulty. 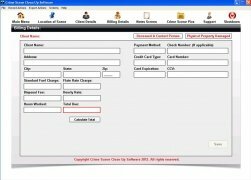 It includes information panel, location panels, personal notes, image folder and even a section to keep the accounts of your expenses. The trial version can be used during 3 days.